Do you love your cat and would not want to ruin this relationship by being angered by it when it simply acts like the feline it is? Cats are known to spray areas with urine or scratch when they are in an area that is unfamiliar to them. This Comfort Zone Feliway review will enable you to get a solution to your problems. Changes in your household or moving to a new house is made easier for your cat by making it comfortable and reducing its urge to spray or scratch. I have experienced a change in my feline after using the comfort zone Feliway kit. Actually, both of us have become more comfortable as instances of me yelling at it have reduced significantly. You should look for a product that is effective and yields results within a short period of time. Scratching and spraying are a sign of stress in your cat ad you would need a good product that calms it as soon as possible. The Comfort Zone Feliway Diffuser Kit is the solution to your problem- your restless cat that sprays and scratches away. The contents are natural and could easily pass as the natural pheromones that felines produce. This makes cats more at ease in their surroundings and calms them down. 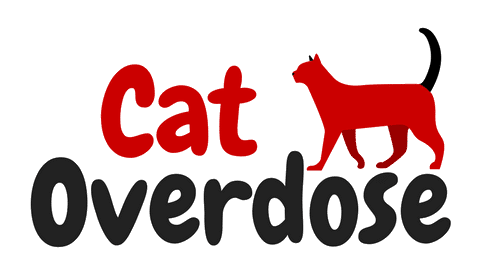 The product comes in handy in various situations such as when you are traveling with your cat, when there are a number of cats that may have tension among them, when there are changes in your home or when you have moved a cat from one location to another such as a shelter to your home. The results are expected to reflect in your cat’s behavior and within a week or a month. • Additional support- you may use the comfort zone Feliway diffuser and comfort zone Feliway spray to enhance the effect of each product. • You can ease the conflict and tension between a number of cats by using the comfort zone Feliway kit. • Traveling with your cat(s) is made easier as they will feel calm after making the surrounding comfortable with the use of the comfort zone Feliway diffuser and comfort zone Feliway spray. • The diffuser is compatible for use with a voltage ranging between 110V-120V. • The products have been proven to be effective in reducing spraying by cats as a way of urine marking. However, this is a 90%efficiency rate. • The product should be stored safely because it is harmful and may lead to fatalities if it is swallowed. The components of the comfort zone Feliway kit are easy to use and you may even use them whether you are at home or away from home. The diffuser has plugs that can be attached to a power outlet either horizontally or vertically. The spray is also easily applied on the surfaces around which the cat is uncomfortable. As a recap, the amazing benefits that you get after purchasing this Comfort Zone Feliway diffuser kit are a calm cat who will be comfortable whether you are in your home or if you have travelled elsewhere. A calm cat means that you experience less hassle with less spraying and scratching. The comfort zone Feliway diffuser and comfort zone Feliway spray are easy to use and enable you to achieve results within a period of one month. You definitely have to check out this product and experience a change in your home with a cool, calm cat.